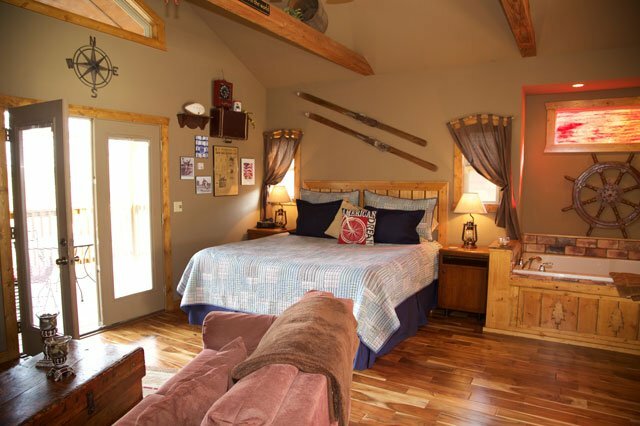 This whimsically-named designer Cabin greets you with a huge bear hug as you enter its charming and spacious interior. 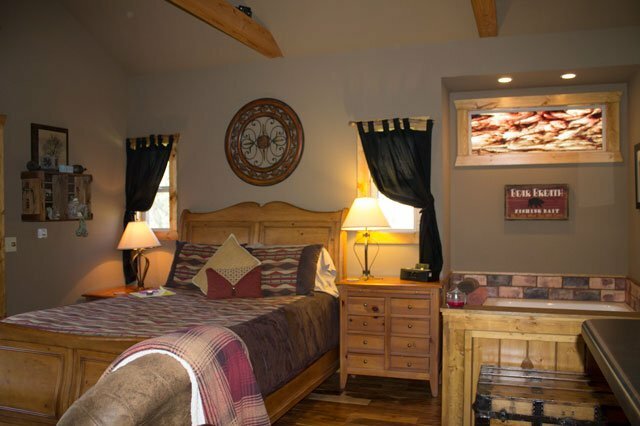 Painted in cottage red and mystic gold this delightful getaway captures your heart as you examine the thematic appointments, all related to nature and certain to arrest a man's interest as well. Perhaps the most masculine cabin of our designer-quality cabins, Just A Bear Getaway manages to balance decorator taste with rustic appeal. 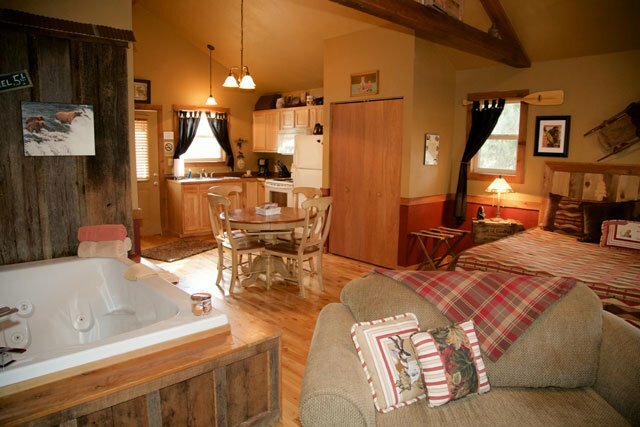 For example the jacuzzi is tucked into a huge space framed in salvaged barn-wood. 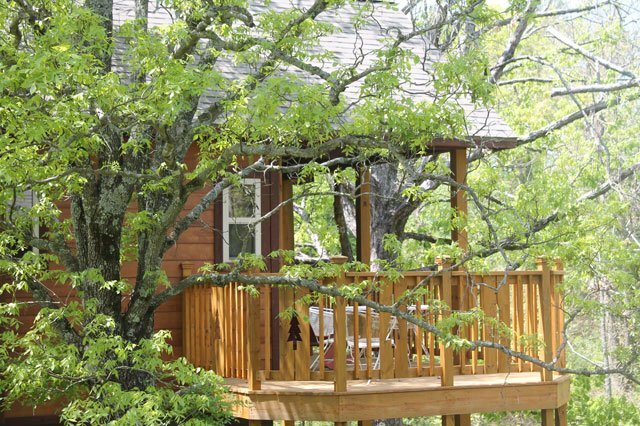 This designer cabin is something you must see to truly appreciate. 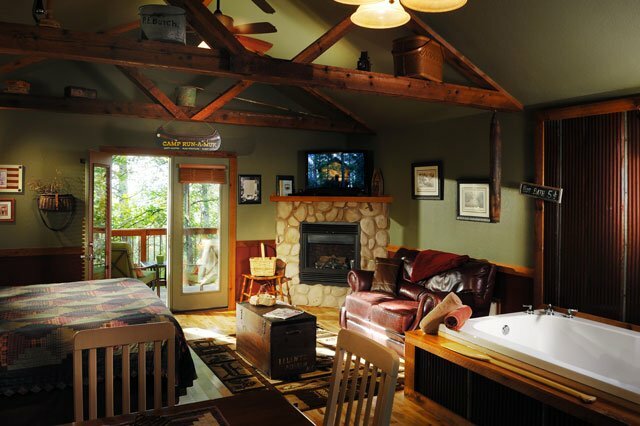 When you arrive, slip into two plush robes and relax before the fire as the forest beyond darkens into night. A note from Becky, "Please don't feed the bears! 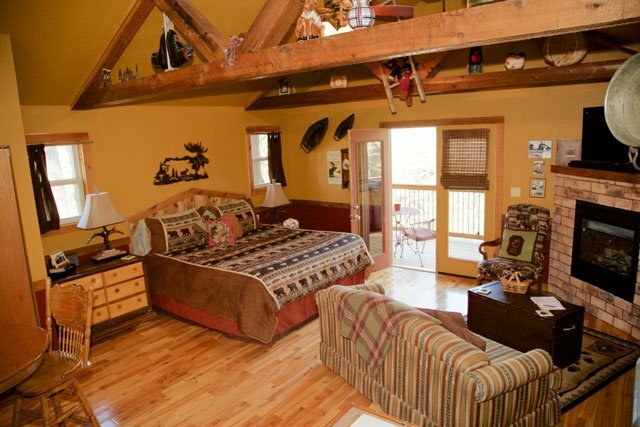 The Bear Getaway was a great cabin. We enjoyed every minute of our first trip to Eureka Springs. I couldn't have asked for anything better for my birthday. We hope to be able to come back soon.